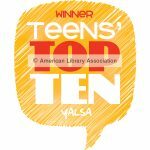 Teens across the nation vote each year for the Teens’ Top Ten book list and the results are eagerly anticipated during Teen Read Week in October– but did you know how the books are nominated for this list in the first place? Books are nominated by members of Teens’ Top Ten book groups in school and public libraries around the country. To give you a glimpse of some of the teens behind this process, we’re featuring posts from Teens’ Top Ten book groups here on The Hub. Today we have a review of a title a teen LOVED nominating– Every Last Word by Tamara Ireland Stone. Thanks to Sam G., age 14, from the Bainbridge Island branch of Washington’s Kitsap Regional Library for this enthusiastic contribution! IT WAS SO AMAZINGLY PERFECT!!!!!!! THIS BOOK IS SO AMAZING BEYOND BELIEF. 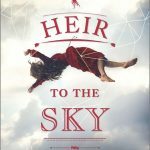 I’M SORRY FOR ALL YOU CONTROL FREAKS WHO MAY BE READING THIS AND GOING NUTS BECAUSE THIS IS IN ALL CAPS, BUT I WANTED THIS REVIEW TO BE SEEN BY ALL, AND SO THAT I COULD GIVE YOU THIS ONE LAST MESSAGE: I DARE YOU TO READ THIS BOOK WITHOUT FLIPPING AT THE TWIST ENDING. IF YOU HAVEN’T READ THIS BOOK YET I REALLY THINK YOU SHOULD BECAUSE IT IS AWESOME AND AMAZING AND BEAUTIFUL AND I’M SORRY FOR MY LACK OF GRAMMAR I’M JUST SO VERY HAPPY THAT I GOT THE AMAZING EXPERIENCE OF MY LIFE TO READ THIS. The story is so beautiful that I would love to just sit down and have a coffee with the person this book is based on. And if I could, I would sit down with the main character. Samantha, a sophomore in high school, was diagnosed with OCD at age eleven and has been on meds ever since. Keeping a secret this big from her popular friends is harder than it looks, with Sam’s mind trying to find a way to start the spiral of horrible thoughts she just can’t turn off. Then she meets Caroline, a school outcast who shows her poet’s corner, a place where you can write without being interrupted, cry without being judged and be in an environment that will keep you from losing yourself. It’s a place where Sam needs, to slow down, think, and understand. Her life begins to take new shape, with her avoiding her old popular buddies while she falls more toward the hot guitar-playing guy named AJ, which is the same guy she teased nonstop in fourth grade and made him switch schools. But beware, this book has a twist ending so crucial and unexpected, that you may find yourself crying and hurting for the main character beyond control. I know I did. OH. MY. GOSH. This book was THE story of my life. Of course, a doctor hasn’t certified that I have OCD, but I do feel exactly like Samantha, the main character, at times. That made it much more scary. I thought when picking this book up “Well my name is Samantha, maybe it’ll be a good book, I don’t know let’s just try it out” but after finishing it, I think my life has changed forever. This book is guaranteed to become the next Fault in Our Stars. 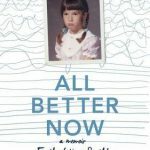 It has everything: A twisty ending, character conflicts so heartbreaking you wish you loved the book a little less so you could put it down and read something else; romance, poetry; it’s so heartbreaking and humorous at the same time you’ll want to DIE, and the most serious, most correct sequence for life. If this book hadn’t been certified fiction, I would have lived the rest of my life out thinking it was real. No joke. I love this book so much, and I don’t often say that about books. 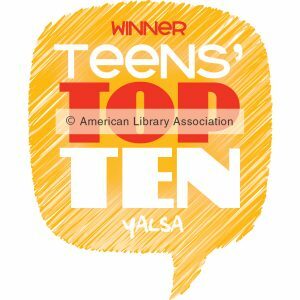 Notes from a Teens’ Top Ten Book Group Participant: Book Trailers!